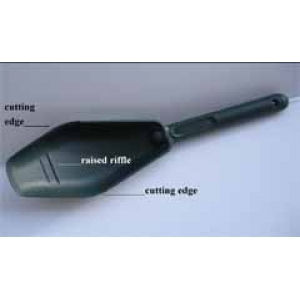 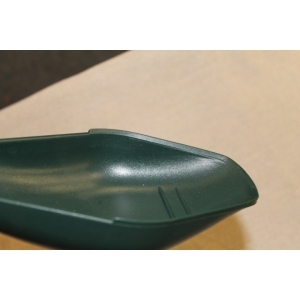 Scoop with cutting edges and riffles made with reinforced plastic. 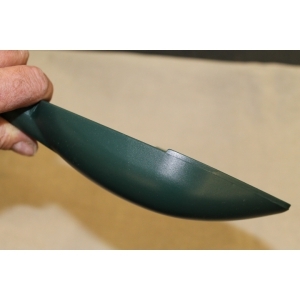 Also has a small riffle in the scoop for panning of small amounts of material. 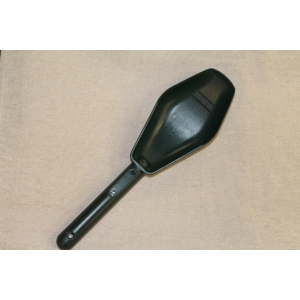 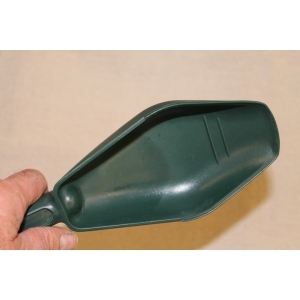 The scoop has become a great addition for metal detecting with it being made out of reinforced plastic you are able to dig up targets with the cutting edge and run the scoop under the detectors head to make finding your relics and gold easier.